Caritas Christi - participate in monthly programs for retired Sisters of Charity. Habitat for Humanity - renovate homes for low-income families. Operation Christmas Basket - make crafts for a sale benefiting the local food bank and the Center Against Domestic and Sexual Violence. 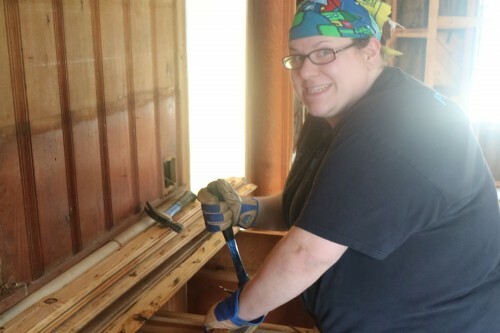 Alternative Breaks - engage in an intense service project during Fall/Spring Break. Sister to Sister - a mentoring program with African-American middle school girls. PA Cleanways - participate in environmental restoration of Mt. Thor Road, near campus. Welcome Home Center - provide clerical and cleaning services, develop interactive programs for women and children at Welcome Home, a center that provides temporary housing and support services to homeless families and single-parent families. Food Bank - sort and package food items donated to the food bank to assist those in need. St. Emma's Monastery - assist Benedictine sisters with indoor and outdoor cleaning and organizing of the retreat center. Christian Layman Thrift Store - organize shelves, dust, clean, sort clothes. Greensburg YMCA - assist with indoor and outdoor work. St. Vincent DePaul Store - assist with organization of donated items. Greater Parkview Church - assist with painting and remodeling needs. 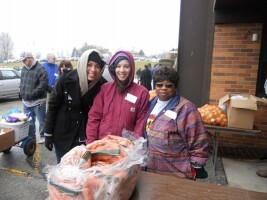 Our Lady of Grace Food Distribution - assist with distribution of food. Each semester other volunteer programs may evolve depending on local needs and student interest. 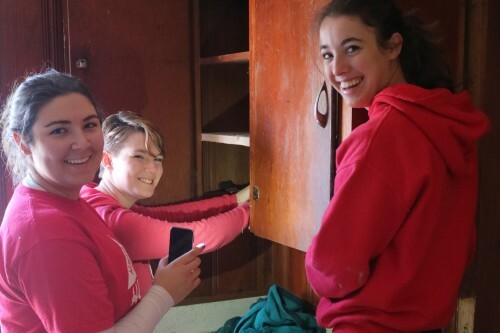 Cabinet removal - Seton Hill University J-Term Habitat for Humanity Trip - 2018. 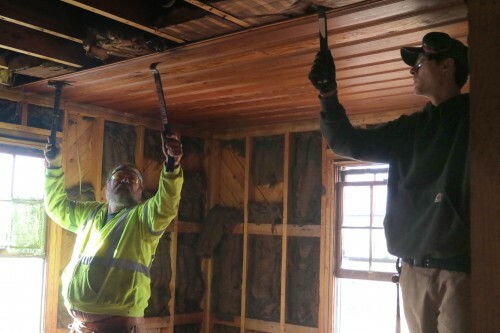 Ceiling removal - Seton Hill University J-Term Habitat for Humanity Trip - 2018. Demolition in progress- Seton Hill University J-Term Habitat for Humanity Trip - 2018. 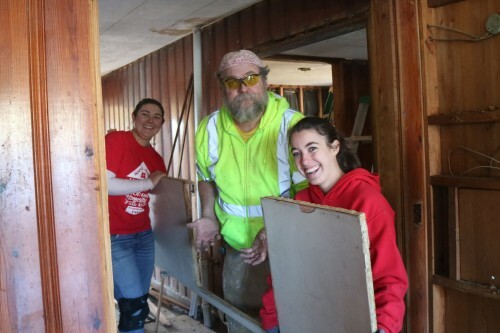 Pulling nails from wood boards - Seton Hill University J-Term Habitat for Humanity Trip - 2018. 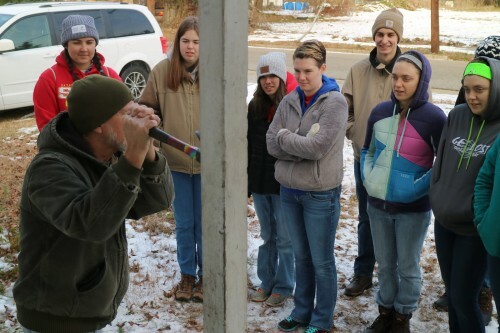 Nail pulling lesson - Seton Hill University J-Term Habitat for Humanity Trip - 2018.